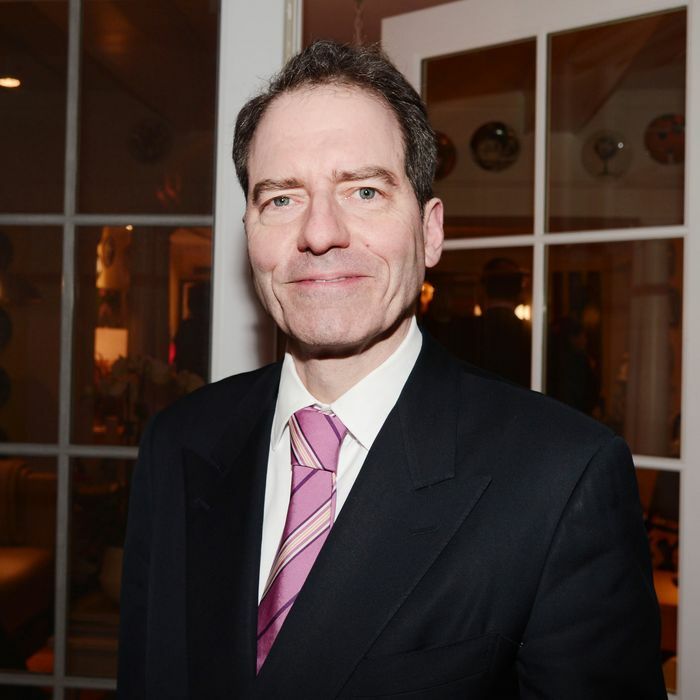 Yesterday Grub Street reported that Charles Masson, the much-beloved manager who has piloted the famous French restaurant La Grenouille for the past 40 years, had suddenly left the establishment over the weekend. Masson’s younger brother Philippe stepped in as his replacement. “These things happen, and so it is,” Philippe told Grub Street, adding that Charles “needed a break.” This afternoon, Charles spoke with Grub. He confirmed he had resigned from his position at the restaurant, but otherwise gave a much different account of his departure. He spoke at length about his career at La Grenouille, promises he made to his staff and patrons, and plans for the next chapter of his career. Would you tell us about the circumstances that led to your departure from La Grenouille? Yes. First of all, I have tried to avoid talking about it, only because it is a family issue, and I was hoping to salvage the restaurant and its 65 employees by creating a smooth transition. I was put into a position where I had to resign because for several months, and years, it became increasingly impossible for me as a manager to run the restaurant. There were things that were happening that I just didn’t have the power to do anything about without my brother and my mother consenting from afar. Even the slightest things, like a kitchen light fixture. You took charge of the restaurant in 1975, when you were just 19. That’s right. I left college to help my father. He was dying of cancer, and when he died, I ran the restaurant. My mother said, “We have to stick together,” and I agreed. I dropped everything. Design, at Carnegie Mellon University. And you left La Grenouille over the weekend? I’ve been hearing many of the restaurant’s longtime customers are so upset and can’t imagine they’ll keep going back for dinner. I’ve asked them to. I’ve heard from patrons: “Well, we’ll never go there again.” But that will hurt the staff. One of the things I find most upsetting is the quote in the Post where Philippe says [of their mother] “She doesn’t want to be in a situation where she can’t sell her baby.” I’ve done everything possible to make sure the restaurant does not become a landfill or get developed by another building. I love this restaurant; if it were up to me, I’d be running it. Do you believe the restaurant is in danger of closing? I hope not. One of things I told the staff is that as long as you stick together, you should be good for another 52 years. I won’t be around, but this is my wish, for the restaurant to succeed. The restaurant has a unique spirit. It’s something that a lot of people on the outside don’t realize, that it’s not a haughty French restaurant. And that’s one of the reasons why I made the changes I did over the years, by translating the menu. That’s why we opened the room upstairs, for less formal dining. We did it all together, which is why it’s such a sacred project, and why I was chilled when I saw this piece, with the quote, “She doesn’t want to be in a situation where she can’t sell her baby.” This is scary to me. You are rumored to be working on a new restaurant downtown. It may be uptown, it may be downtown. The rumor really was, well, we have a great staff working for me, and I believe the motivation, as well as a great chef, pastry chef, and front-of-house staff — my intention was to open another place, a younger, friskier little sister to La Grenouille. We would open in a residential neighborhood, with the idea being we would basically become a less formal [restaurant], but beautiful, bohemian, like an artist’s studio. We’d have great classic French cuisine — not a bistro, but good, good cuisine, with reasonable prices and menus, which would then help La Grenouille. The idea being that we’d open the ready-to-wear version of the haute couture that is La Grenouille, and that’s how La Grenouille would survive. That was my vision. Are those plans still in the works? Now that I’m deprived of La Grenouille, I guess I will go on with the little sister alone. I wish I could do both. I really hope La Grenouille goes on for another 52 years. I really pray that.